In the order, the court also observed that working for Rashtriya Swayamsevak Sangh does not make a person communal and anti-social. The special anti-terror court that acquitted five accused in the Mecca Masjid blast case held that the confessional statement of Hindu preacher Swami Aseemanand to the police, which he retracted later, was not voluntary. The National Investigation Agency court also maintained that a person cannot be considered "communal or anti-social" only because of links to the Rashtriya Swayamsevak Sangh, which is not a banned organisation. The court also dismissed the prosecution's claim that Aseemanand had confessed to his guilt to two inmates of a prison in Hyderabad, saying the Central Bureau of Investigation, which initially probed the case had not provided any documentary evidence to back its charge. A powerful blast, triggered by remote control, had ripped through the over four centuries-old mosque in Hyderabad during an assembly of devotees on May 18, 2007 when they had gathered for Friday prayers, killing nine people and wounding 58. 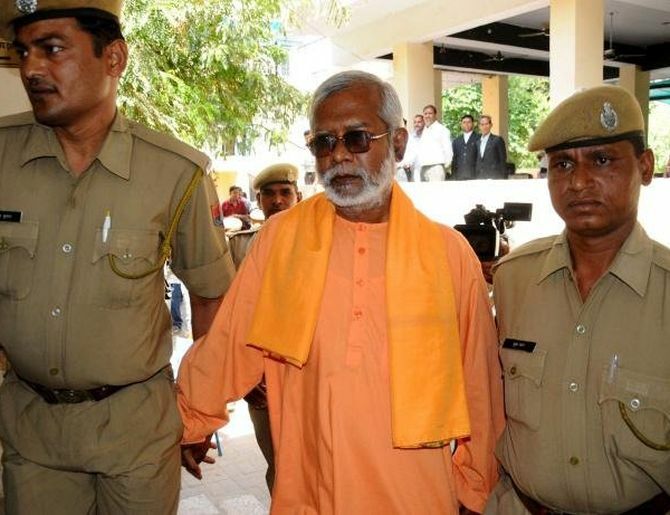 Special Judge K Ravinder Reddy in his April 16 order said the confessional statement of Aseemanand was "hit by section 26 of the Indian Evidence Act and the same is not a voluntary one which was recorded during the course of police custody". The special public prosecutor for NIA, the country's premier agency that probes terror cases, had submitted that Aseemanand gave the confessional statement in December, 2010, and retracted it four months later. Rejecting the prosecution charge that Aseemanand had confessed his guilt to two inmates -- Maqbool Bin Ali alias Chawaish and Shaik Abdul Khaleem -- in the Chanchalguda prison, the court said there was no record to show that the duo was in the prison at the time when Aseemanand was lodged there. "Except the oral testimony of PW (prosecution witness) 104 and PW 105, there is no other record to show that they haven been in Chanchalguda jail when Aseemanand was lodged there," the court said. The order said Additional SP of CBI Raja Balaji, one of the investigating officers, "has not collected any documentary evidence and produced before this court" showing that the two wintesses had been in Chanchalguda jail along with Aseemanand. The CBI official did not examine the jail superintendent and record his statement that Khaleem and Chawaish were in the prison when Aseemanad was there, it said. In the order, the judge also observed that working for Rashtriya Swayamsevak Sangh does not make a person communal and anti-social. He made the observation while referring to Devender Gupta, one of the accused, who was an RSS pracharak from Bihar. The court said the evidence produced by the prosecution did not prove beyond reasonable doubt that Gupta, being an RSS volunteer, nurtured communal hatred. "There were no records to show what were the communal hatred speeches of Devender Gupta being delivered at Jamtara (Jharkhand). The oral evidence given by a prosecution witness does not support the charge," he added. "The Rashtriya Swayamsevak Sangh is not a proscribed organisation. If any person works in it, it does not give any scope that he is a communal and anti-social," the judge observed. The court had acquitted all the five accused, who faced trial, holding that the prosecution failed to prove "even a single" allegation against them. Besides Aseemanand and Gupta, other acquited are Lokesh Sharma, Bharat Rateshwar and Rajender Chowdary. There were 10 accused in the case. Two accused -- Sandeep V Dange and Ramchandra Kalsangra -- are absconding, while Sunil Joshi was murdered. Investigation is continuing against two others. Mecca Masjid case: Did cops hide something?